Let’s face it, getting diagnosed with an autoimmune disease turns your life upside down. From countless doctor appointments, to days being sick in bed, and of course the ongoing tiredness are just some of the new normals. For me it’s celiac disease and although I’m learning to navigate life so I don’t miss out on what I used to love, my life is not the same. Everything from eating out, attending social events, the cosmetics I buy to the trips I take are all different now. I think it’s really easy to get caught up on focusing how much my life is different and how hard it is at times for me, that sometimes I forget my illness not only impacts me but also my loved ones; specifically my husband. When he fell in love with me I was a healthy young girl (we met in high school!) with no worries in the world. Over the years he saw me struggle with my health, until finally a diagnosis was given. I was scared and didn’t know what the future would bring for me, but I selfishly never stopped to ask him if he was scared. There have been many times we’ve had to cancel plans because I haven’t felt good, or planned our entire trip around making sure it’s gluten free safe and never once has he complained about it or made me feel guilty for it. In fact he continued to date me, marry and love me unconditionally. 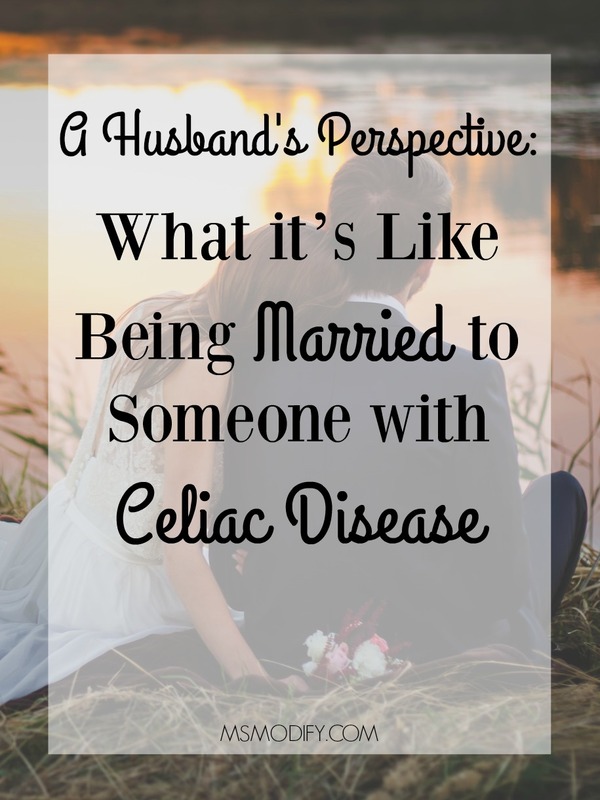 In honor of all the incredibly supportive spouses out there living with someone with celiac (or another autoimmune disease), today I’m interviewing my husband Erik and getting his perspective on things. Some of these questions we have never talked about before, so I asked him to be as open and honest as possible. How was life before my diagnosis? Life before your diagnosis was a very normal teenage life for the both of us. We ate all the junk food that we wanted, as most teenage kids do. We would go to our favorite Mexican restaurants together, get burgers and fries on the pier at the beach, pizza after football games… the list could go on and on since we were your typical teenagers. But to be honest, things changed way before your actual diagnosis. I can remember like it was yesterday when I knew there was something wrong and different about you. I started to notice that whenever we would go out to eat you would suffer from a stomach ache or not feel good. As time started to pass, the reactions would get worse and it seemed like you always felt sick, not just after eating and trying to figure out what caused the issue started to seem hopeless. I remember you going to so many doctors and they didn’t know what was wrong, and actually told you it was in your head. Looking back I can remember being so frustrated at the situation because every time I would suggest somewhere to eat you didn’t want to go because you were “allergic” to what they served (even though we didn’t know what). I look back on it and feel so bad about how I use to give you a hard time. I wish I was more respectful about how you felt and it makes me sad to think about all the young kids that suffer from celiac or gluten intolerance that are going through that now. How did you feel when you heard I was diagnosed with celiac disease? To be honest when you were first diagnosed I didn’t think much about it. I thought all you had to do was not eat bread or certain types of grains and it would be as simple as that. A part of me was relieved that you finally had an answer to why you were always sick. I really didn’t think that it was that big of a deal. I’m not even sure if I knew it was an autoimmune disease at that point. Honestly, even when I found out it was an autoimmune disease, I don’t know if I even knew the severity of what it entailed. Some of the positive changes came in the form of changing our eating habits. It really made me aware of what goes into certain foods and taught me to read labels, not only for gluten but also to make healthier choices. With having a loved one that has an autoimmune disease it really makes me look at my own health and not take it for granted. Negatives…well to be honest I try to focus on the positives, but there have definitely been challenging aspects to your illness that I never thought I would have to think about. I would say traveling and lack of spontaneity has been the hardest change. We are now limited to where we can travel, where we can stay, we have to research ahead of time places you can eat, etc. I miss being able to just explore and stumble upon places. Sometimes it feels like we plan our trips (even day trips) around food. But at the same time, I wouldn’t change that for the world since now you’re feeling better! What surprised you most about living with someone with celiac? The biggest surprise was how severe your reaction is to gluten. Having to witness what you go through and the process of healing from your reaction is saddening and hard to deal with, since there is no way to really help. Another thing that surprised me is how strong you are (I always knew this, but didn’t realize how often you use your strength!). This is a two-parter. First is your willpower. I’ve never seen you cheat on your diet, even when you’re around food I know you used to love. I’ve heard many times people say to you “oh, come on one bite won’t kill you”. I can imagine this is hard to hear and but you never let that bother you. The second is your overall strength. I never realized how celiac impacts your life so much until I lived with you. It’s a lot harder than people think, but you just do what you need to and keep on going. You choose to have our house be 100% gluten free, is that ever hard for you? Transitioning to a gluten free house was hard in the beginning just because it was overwhelming going to the grocery store and trying to figure out what was gluten free and what was not. I remember one time you sent me to pick up a few items and I was at the store for an hour trying to read labels and Google things! Now it’s second nature to me and I couldn’t imagine going back to how it used to be. I honestly don’t feel like I miss out on anything (I’m sure your cooking really helps with that!). Even though I don’t have celiac, I really feel better eating gluten free as well (I do eat gluten when I’m out, without you). I would say hands down the hardest part for me is seeing you struggle. Your life has turned upside down and although you know how to mange it now, it’s still a challenge. Just knowing how sick you feel after you get glutened and seeing you lay in bed is hard. I can remember at first your hair was falling out and I saw you one day in the bathroom cry as you brushed it… that killed me to see you. Also, watching you struggle over the years with the social aspect has been challenging for me. I remember the first time we went to a wedding together after your diagnosis and we weren’t prepared and didn’t pack you food. You held tears back all night as everyone ate freely around you and questioned you why you weren’t eating. You’ve given up a lot and have to worry so much that it saddens me. Each time we go out to eat you have to ask so many questions and are always at the mercy of how the food is prepared, that I can see you stressing. It hurts me to see how people treat you sometimes and think it’s a fad. I remember one time your friend said “I was going to invite you to dinner with us, but figured you couldn’t eat so I didn’t”. Sometimes it’s hard for me to sit back when people say hurtful things like that. It breaks my heart for you because I know you didn’t ask or deserve this. I’ve seen you get so strong over the past couple years and you always seem to be control of the situation, even when it’s hard. In your opinion, what’s helped us get through the hard times with my health so far? Being a team has been the key to it all. It’s with anything in life, not just your health. When I’m having a bad day you’re there to lift me and vice versa. Days that I can see you’re not feeling well I try to pick up the slack for you. It’s all about having someone to conquer your fears and stresses… knowing you’re not alone during the hard times. What advice would you give to another spouse married to someone with an autoimmune disease? You have to be a team and put yourself in the other person’s shoes. Be open to the other person’s feelings, thoughts, stresses, concerns etc. You have to be there to pick them up during the hard times, but celebrate the positives. Be patient. Getting a diagnosis of celiac or another autoimmune disease is life changing and you really need to remember how hard it is on them. What advice would you give to a person living with an autoimmune disease regarding their spouse? You’re not the only one who stresses or has concerns from a diagnosis like celiac. You may be the one who has the illness, but you’re not the only one who is living with it in the relationship. Your loved one goes through every step of the process with you. Also, we don’t read minds so when you’re feeling something let us in. We can only be there for you fully if you open up. A big thank you to Erik for being open and transparent during this interview! He truly has been beyond supportive with my celiac and every aspect of life. There’s no one else I’d rather do life with! 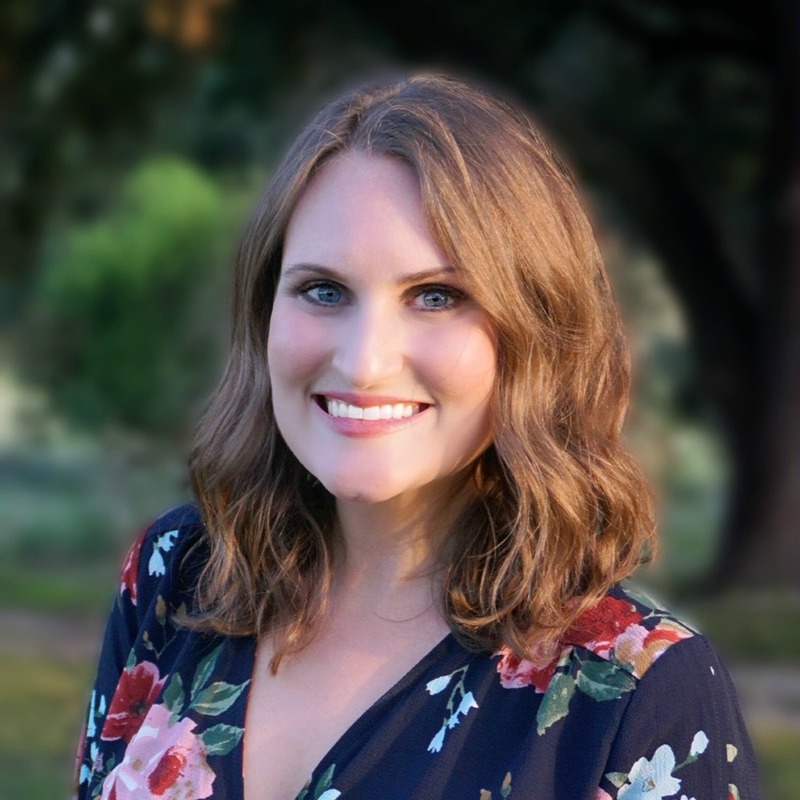 This entry was posted in Lifestyle and tagged interview, living with celiac, marriage. Yes, I’m so blessed to have him. I feel like it’s such a burden on him and he never complains! It breaks my heart every time I think of the burden that my illness puts on my loved ones. I agree with you. I’m glad you can relate! Your story brought me to tears. Our 14 year old daughter has celiacs and I wonder what the future will hold. You are lucky to have such a supportive husband! Thanks for sharing! ❤️. Thanks for reading it! I can imagine it’s so difficult for someone her age, especially the social aspect. Just know, there are a lot of great guys out there who are willing to change their life for girls like us! How sweet is your hubby! I’m lucky in that Jesse is DEFINITELY on my team. The only thing that frustrates him about me having coeliac is that he can’t kiss me if he’s eaten gluten! Just after I was first diagnosed and he came back to Australia to visit, I started getting really sick again and we were all so confused – until Jesse decided it had to have been him kissing me and then told me he wouldn’t kiss me unless he brushed his teeth first (I thought he was crazy) and whaddayaknow, all of a sudden I started feeling better! I know me too! When I first heard I could get sick by kissing I thought it was a joke! No joke though! We are so lucky to have supportive husbands! Oh Kristina, you guys are so blessed to have each other ! I will definitely share your guys’ story with my 12 yr old celiac daughter because she things that all guys are like her dad. He is too scared and hasn’t owned it yet, to say the least. I am glad to know there is men like Erik out there!! Thanks Marina! Yes, there are a lot of great men out there that are supportive of illnesses like celiac! I don’t know how I missed this the first time around, but I loved reading it. My husband is also very supportive, and my kids have been great too. My oldest son washes his hands after he has eaten anything containing gluten when he eats out. My grandson somehow finds it hilarious, and likes to chase me around, while waving his hands and yelling gluten, gluten! These stories are nice so thankful there are grateful people out there.Celiacs desease is no joke I have one of those great husbands he really makes sure we don’t eat anything that has gluten ,rhy , barley in it he reads all labels makes sure I can eat it .My biggest challenge was learning how to cook for myself eating out is not always easy but I am blessed with a great husband he really understands my situation. We’re so lucky to have supportive husbands because I know it’s hard for them too! I’m glad to hear that I am not the only one experiencing the affects celiac disease has caused on our daily lives. Ever since I was diagnosed with celiac earlier this year, I have felt isolated from my friends. Especially when the doctors didn’t know exactly what I had I was constantly getting blood drawn for testing and monitored every week from my specialist. I have missed over 20 days of school this year which has caused me to be very behind with my classes. Everyone thinks it’s a joke and don’t believe that celiac is a big thing when I tell them that the symptoms of eating gluten do not allow me to go to school and other activities they don’t believe it’s that bad as I picture it. And then knowing that their is no cure to my disease kills me inside knowing that I have to live like this for the rest of my life. Finally knowing that there are people with celiac that go through this everyday just like me makes me happy that I am not alone. We will all get through this together. My plan later in life is to get a service allergy detection dog so I can carefully monitor my food and not worry about the stress of eating out. Thanks for sharing this Vanessa! Your situation sounds a lot like mine did. Trust me, it’s hard but I promise it gets easier and manageable so you can live a happy, fulfilled life! Have you heard of the Nima Sensor? You should consider getting one… it tests your food for gluten before you eat it. If you ever have questions or just need a friend to vent to, please email me any time! (kristina@msmodify.com) Know you are not alone! I was diagnosed a year ago and now it doesn’t rule my life like in the beginning. My family adjusted and we have learned so much like which restaurants are safe and how to grocery shop. We try to lessen the burden on family at gatherings and bring gluten free options to avoid stress over what there is for me to eat! I feel so much better and I am so thankful for knowing the cause of my past problems and being able to fix it. My husband is terrific and like me he’s happy there was a solution to my problem! My husband has gluten intolerance. While not full blown celiac disease, he suffers from many of the same problems. Since I am the shopper, meal preparer etc, I had to really learn about it fast. Your husband’s comments were just like mine. Only sometimes I felt like I didn’t sign up for this. But, his wellbeing was more important than a bagel! So we both eat gluten free. Occasionally when our ladies group gets together I will have a cookie. But, learning to bake GF has been a challenge. Thanks for your writing and your husband’s encouragement. Hi Sara! I’m glad you could relate to husband. I’m sure your husband appreciates you so much! Living with someone with Celiac Disease is much more difficult than your husband wants to say. Having come from a family atmosphere where food is a shared celebration, I am saddened that my life has changed in this way and that we can no longer share or participate in the same way. Lets admit it … socializing almost always has much to do with food. I do it all for my partner, but I am not going to pretend there is anything easy about it. I can relate…..when I wasn’t invited to my daughter’s 45th surprise party, she just replied “Well, you couldn’t have eaten anything anyway!” Fortunately (for her future inheritance!) we’ve gotten past that! I actually feel better at 71 than I did at 41…been gluten free for 20 years now. When 2 of my 4 kids were diagnosed with celiac, we didn’t change the entire house to a GF environment. But, I did stick to meat/fruit/veggies as much as possible, plus cooking from scratch. They were both over 18 when diagnosed, so that made it easier. They’ve become quite adept at reading labels, checking restaurants ahead of time, & educating servers who seem to consider it a fad, particularly about cross-contamination. Their friends have also been accommodating. I don’t think either has not been invited because they refuse to provide GF options. They just know to eat ahead of time. I stumbled upon this article and it warmed my heart. 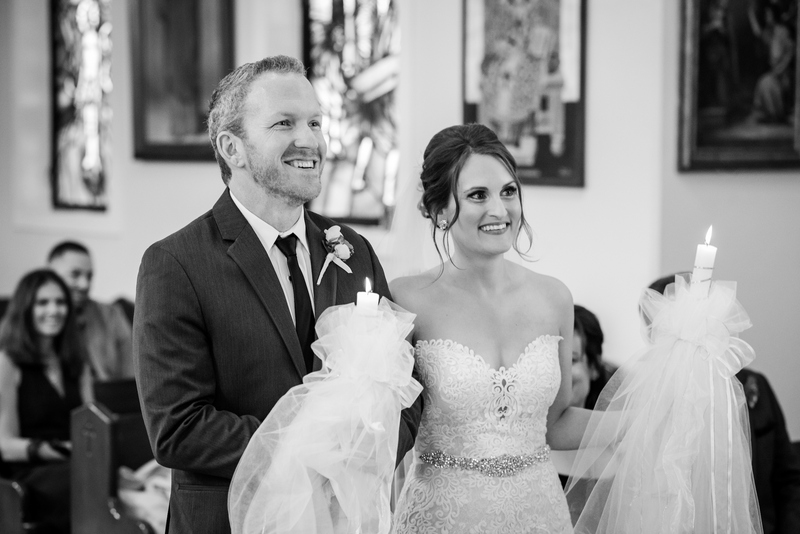 My husband was diagnosed (finally) 5 years ago at the age of 44, with Celiac disease. He spent his entire life prior to this pretty much ill to varying degrees. We were dating when he was diagnosed. The first year was very difficult for him (and me). He would get so frustrated, sad, and even say things like- “if it’s too much I understand.” It was heartbreaking to watch this amazing man almost crumble. We are now, with our daughter, living a much healthier and happier life. We have a 100% gluten free home- period. If you even try to breach my door with something gluten, our 6 year old will be the first to lay down the gluten-free law. You will not gluten her daddy. Niether my daughter nor I have celiac. We, as her parents also don’t want her to develop an intolerance to gluten from not eating it, nor do we want her to be excluded from play dates, etc., so her and I DO eat gluten intentionally, outside of our home. As a family this disease has brought us closer together. We are a team! We cook together, try new recipes, etc. The social aspect can be very difficult. My husband’s parents weren’t “buying it” at first until they saw how much he improved on the diet. They would refer to me as the “gluten police” because I would always say “no, I’m sorry he can’t have that.” Now things are much better. My mother in law respects our rules and truly appreciates the love, care and consideration I give her son. I do agree our lives our focused around feeding my husband, but if you ever saw him “glutened”, you would be vigilant too!